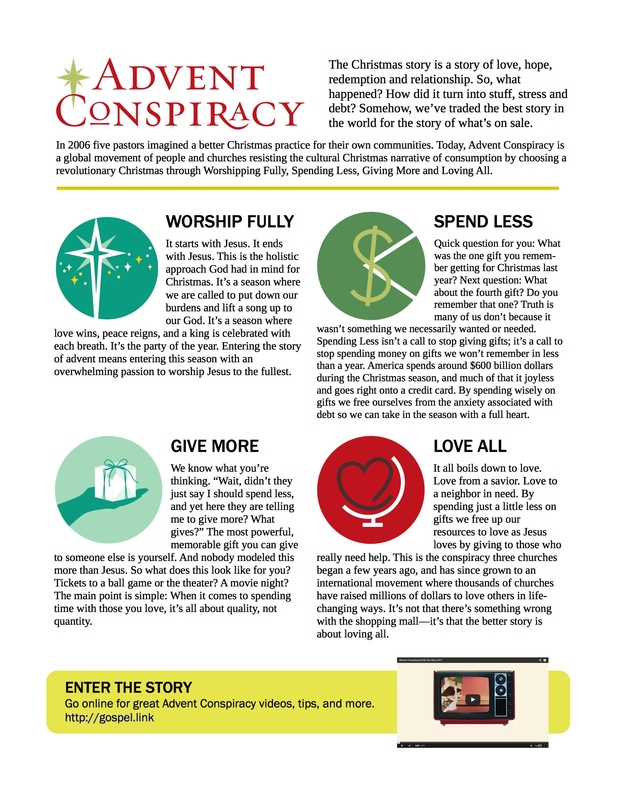 The message of Advent Conspiracy is intertwined with the core message of the Advent season: it's about us reclaiming the story of Advent and Christmas. The gospel reading tells us we need to be watchful and alert, but it's hard to intently focus on two things. At this time of year, many of us are watching for sales, gifts to purchase, busy schedules, and more. Worshipping fully means putting our focus onto God. This video shows extensive and engaging preaching on the first week. It is not based on the Lectionary readings.